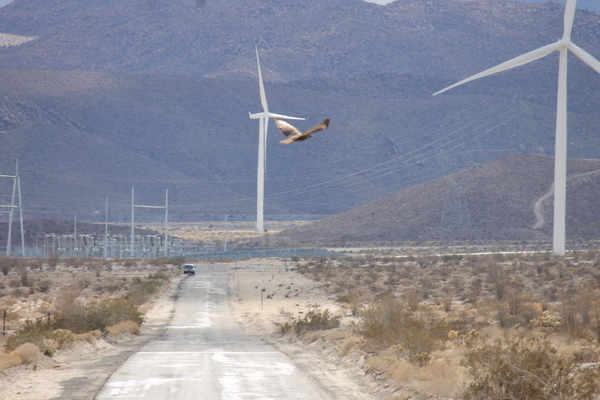 The dead bird, which ReWire’s sources have preliminarily identified as a ferruginous hawk, was found by an Ocotillo resident over the weekend in a small wash off Shell Canyon Road north of the Imperial County hamlet, less than half a mile from the northern tier of the wind project’s 440-foot turbines. Though the photographs ReWire has obtained do not show conclusive photographic evidence of a cause of death. But finding an individual of North America’s largest hawk species dead of unexplained causes more than a half mile from a wind turbine raises questions how wind energy facility operators monitor wildlife mortalities. According to Ocotillo resident Jim Pelley, an acquaintance discovered the bird and took Pelley to the site to document it. The two took photos and recorded GPS information, left the bird on site and alerted the U.S. Fish and Wildlife Service to their find. ReWire obtained photos of the hawk from Pelley. Though the photo we’ve published below is not particularly gruesome, we’ve blurred it out for the sake of sensitive readers. The condition of the remains confounded ReWire’s attempts at identification, so we shared the photo with Bay Area-based naturalists Ron Sullivan and Joe Eaton. They replied that they were fairly confident the body belonged to a ferruginous hawk, Buteo regalis, a very large hawk that primarily feeds on small mammals. Though its numbers have been slowly increasing across most of California since a nadir in the 20th Century, the ferruginous hawk is still a California Species of Special Concern, and like many other birds is protected under the Migratory Bird Treaty Act. The bird’s carcass shows obvious signs that scavenging animals consumed part of it, perhaps carrying it to the location in which it was found. 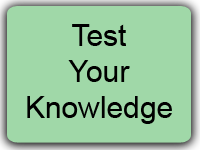 That location was well outside the usual distance from turbine pylons within which biologists in the employ of wind companies generally conduct surveys for injured or killed birds. 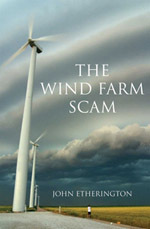 Wind companies usually contend that birds injured by blade strike generally fall to the ground within an area not much farther from the pylons than the length of the turbines blades. … then the fact that it was found about half a mile from the nearest turbine would suggest that a typical mortality survey radius of 50 meters from the nearest turbine pole might be far too small. That’s true even if a coyote did pick this hawk up from underneath a turbine tower and carried it off for a leisurely snack.